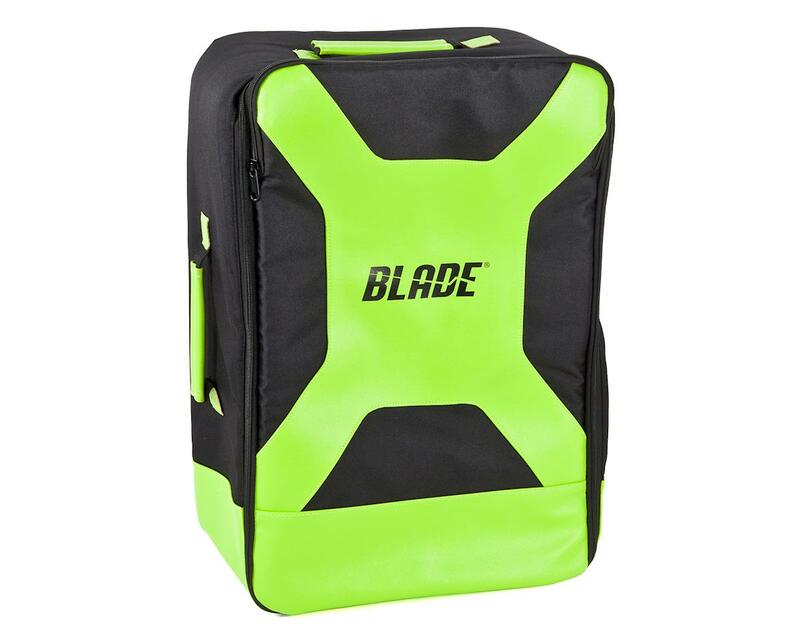 The Blade FPV Race Backpack is perfect for those looking for a stylish and functional way to carry everything needed for a day out flying. It is specifically designed to comfortably carry up to two 280 sized racing quads, one transmitter, a pair of goggles, tools, spare parts, and much more. Several zippered pouches line the inside of the case making it easy to keep everything organized and accessible. Included modular dividers give the freedom to create an internal layout that suits each individual setup. This versatile bag also meets FAA carry-on dimension requirements, perfect for pilots on the go. 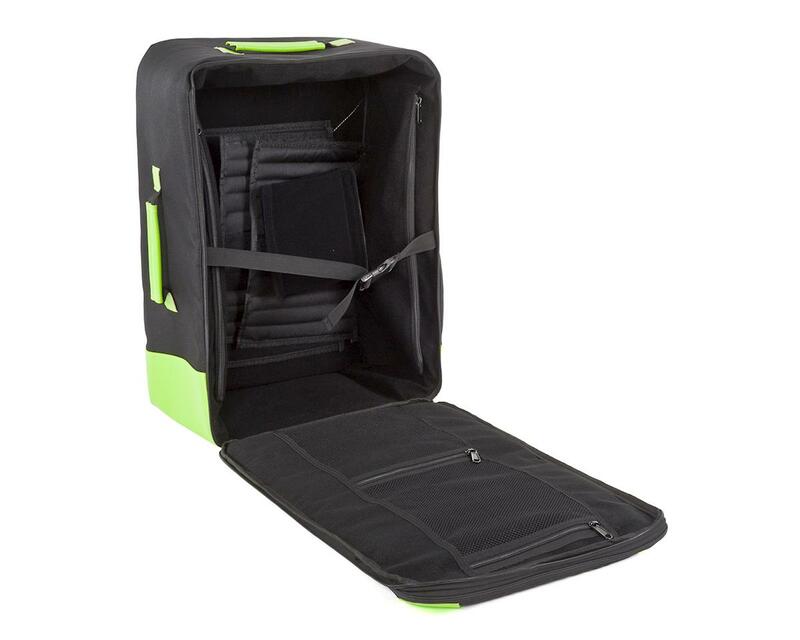 The backpack is entirely lined with a soft velcro material that allows the included dividers to be placed in an orientation that fits every need. Two semi-circular dividers to secure up to 280 sized quads (without props), a long center divider to separate the quads from transmitters and accessories, and shorter corner dividers to organize tools and other small objects. Featuring an open top design, the pack allows for easy visibility and access to everything you have packed. No more rummaging through pockets in search for what you need. The pack walls are lined with padding throughout to keep electronics and other items safe from bumps. Also, every pocket is secured with a zipper, and interior straps keep your things secure during travel. Backpack shoulder straps are easily removable with clips for conversion into a suitcase style carry bag. Included rain fly covers the entire pack and offers added protection from weather and rain, giving peace of mind when traveling in uncertain conditions. The backpack is sized to comply with FAA carry-on dimensions for hassle-free travel.